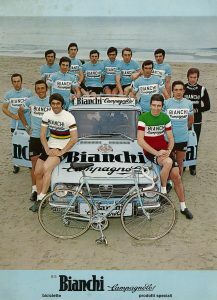 In early 1970s, Bianchi returned to the pro peloton as main sponsor of the Bianchi-Campagnolo Team. The team was continuation of the Team Salvarani, directed by Vittorio Adorni, the 1965 Giro d’Italia winner and 1968 World Champion. The Bianchi-Campagnolo Team was one of the strongest teams back then with 1972 and 1973 world champions Marino Basso and Felice Gimondi on board. The entire team were using Bianchi Specialissima Professionale bikes, basically the same we are presenting here. 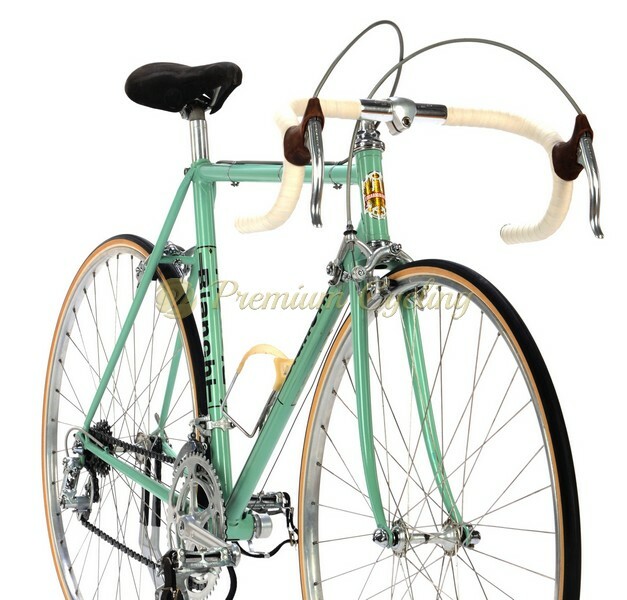 Happy to offer another Bianchi‘s top class racing machine, the Specialissima Professionale which dates back to 1973. Extraordinary details makes you understand that Edoardo Bianchi was a medical tool engineer, before he started with bike manufacturing: beautiful lugs, lightweight Columbus SL tubing and aero-shaped seat stays marked Bianchi with serial number on both sides of the seat lug. Same as Felice Gimondi‘s and Marino Basso‘s bike, also this Specialissima is build with Campagnolo Nuovo Record groupset, Cinelli saddle, NiSi rims . No much words needed. Condition: Used, but very good condition. 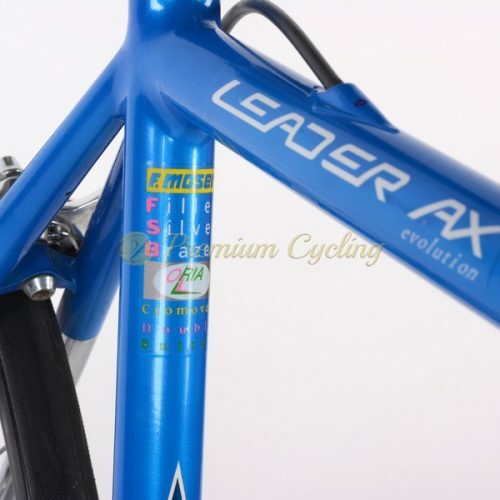 The frame has no cracks, no dents, not bent. Original paint and decals. Some tiny signs of normal use. All parts are working fine.